Ansal API has a wide range of golf links plots sizes available for sale in Sector 114. All these Plots are available in resale and the price depends upon the size and location of the Plot. AnsalAPI has approx 250 Acre Township including Plots, Villas, Independent Floors, Group Housing, Commercial, AnsalPlaza in Secor-114, Mohali. Emaar MGF Land Limited is a joint venture between Emaar Properties PJSC (Emaar) of Dubai and MGF Development Limited (MGF) of India. Emaar is one of the worlds leading real estate companies with operations in 16 countries. MGF has established itself as one of the key players in retail real estate development in Northern India. Emmar MGF commenced operations in India in February 2005. 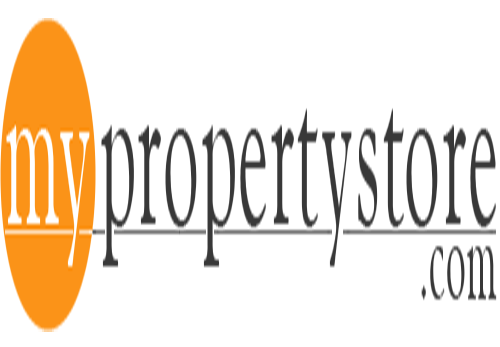 Their primary business is the development of properties in the residential, commercial, retail and hospitality sectors. JTPL Townships Pvt. Ltd., an ISO 90012008 & ISO 140012004 certified company is a nascent and fast growing real estate company in North India and is here to build new commitments in the Real Estate Industry. JTPL City Mohali: An Integrated Townships in Mohali is spread over a lush green area of 85 acres. JTPL is creating distinct homes by offering a host of amenities that enhance the quality of life. 260 acre gated Mega Township, 1.6 million sq. Ft. Fairlakes mall, Luxury hotel, Serviced apartments, Exclusive clubs for fairvillas, Self contained township, Environment friendly, Water bodies trap rainwater and then recharge underground acquifiers , Water recycling, Energy efficient buildings, Energy conservation, Fairlakes Mohali is connected by 200 ft and 150 ft wide sector roads, Fairlakes provides for more than 60% open spaces such as green areas, parks, walkways, streets etc. TDI city Mohali, a fully integrated self sufficient township spreads over 200 acres, consists ofIndependent expandable villas, senior secondary school, club and recreation centre, Hospital,5 Star hotel etc, located on main Mohali Kharar High way, the township would be embellished with state-of-the-art malls, a multiplex and best-in-class facilities such as a healthcare centers, primary and secondary schools, round-the-clock security, recreation centers, commercial offices and a hotel. Omaxe Constructions is amongst the large Real Estate Development companies in India and has executed more than 120 prestigious Industrial, Institutional, Commercial, Residential and Hospital construction projects such as: Apollo hospital, Birla Institute, DCM group, Amity University, IIT, Noida High Court, Coke, Pepsi, Samsung, LG to name a few. Plots Sizes: 200, 300 ,400 & 500 sq yd. Residential plots in pearls city sector 100, mohali a mega township presently offers you variable plots of sizes 150 sqyd, 200sq. Yd, 250 sq.yd,300sq.yd, 400 sq.yd,500sq.yd,1000sq.yd.. Pearls city ,mohali project is one of the best offering from pearls infrastructure. Located very near to the beautiful city of chandigarh , pearls city mohali, as the place of the name suggests, is within a strategic reach of important business destinations in punjab . This integrated township is spread over an area of 500 acres. This township has all the state of the art facilities- making it an iconic destination. An exclusive area has also been earmarked for nri enclave within pearls city with international standard infrastructure and world class facilities. Pearls city mohali is located very near to the beautiful city of chandigarh is within a strategic reach of important business destination in punjab . The fully integrated city is conceptualized for self-sustenance to every need. State of the art infrastructure will make pearls city mohali an iconic destination for good living and lifestyle. Nri enclave is an area marked inside pearls city mohali having latest international facilities and multi level security standards. Ireo is the first and the largest Private Equity Fund dedicated to the Indian real estate sector. The company has a pan India footprint of projects in prime locations across NCR including Gurgaon, Haryana, Punjab, Tamil Nadu and Maharashtra under various stages of development and implementation. Ireo has been present in India since 2004 and has evolved as a fully integrated real estate organization that is both the financer and developer of its projects. Chandigarhs twin city- DLF New Chandigarh. DLF now replicates this “Quality of Life” with infusion of modern infrastructure into a virgin green environment by launching Chandigarh’s twin city – NEW CHANDIGARH. New Chandigarh poised to be Punjab’s most modern & forward cities that will house some of the biggest and the best amenities in terms of land infrastructure, medical facilities, commercial establishments, corporate environment, educational institutions, recreational and sports facilities and most importantly, lifestyle that is aspirational. It is a green sustainable project designed to suit the aesthetics of Punjabi culture with contemporary look and feel. Plots Sizes: 350 ,500 sq yd.